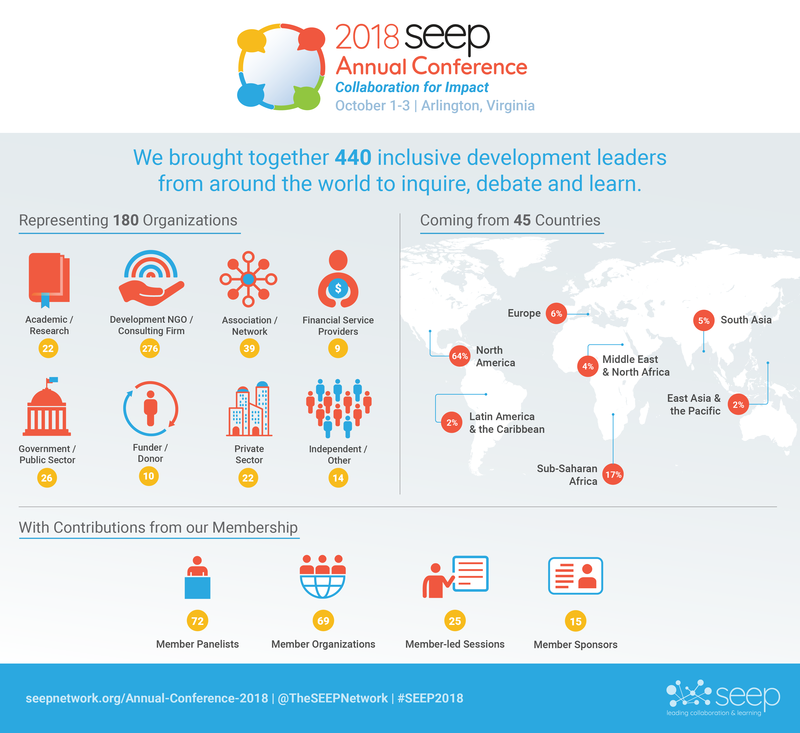 Every year, the SEEP Annual Conference convenes hundreds of development leaders from around the world to inquire, debate, and learn. Last year's theme, Collaboration for Impact, highlighted the capacity of people and organizations to think systemically and design and implement collaborative change processes to realize a level of impact that no one project, sector, or organization can achieve alone. Missed the conference? Explore our conference photos!